If you had to ask me to pick one cocktail to drink for the rest of my life, hands down it would be this Manhattan Cocktail. I have fallen hard for rye cocktails over the past few years and have been committed to creating the perfect Manhattan recipe. Just picture it, night after night of Josh and I twisting each other’s arm to do more taste testing. Great news guys, I think we’ve finally done it. 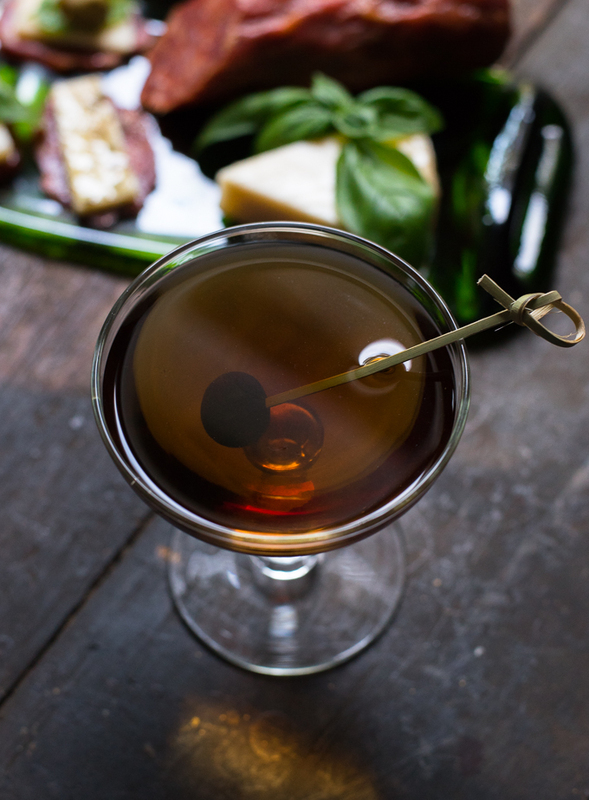 One of the biggest secrets to making a smooth Manhattan is using the right sweet vermouth. 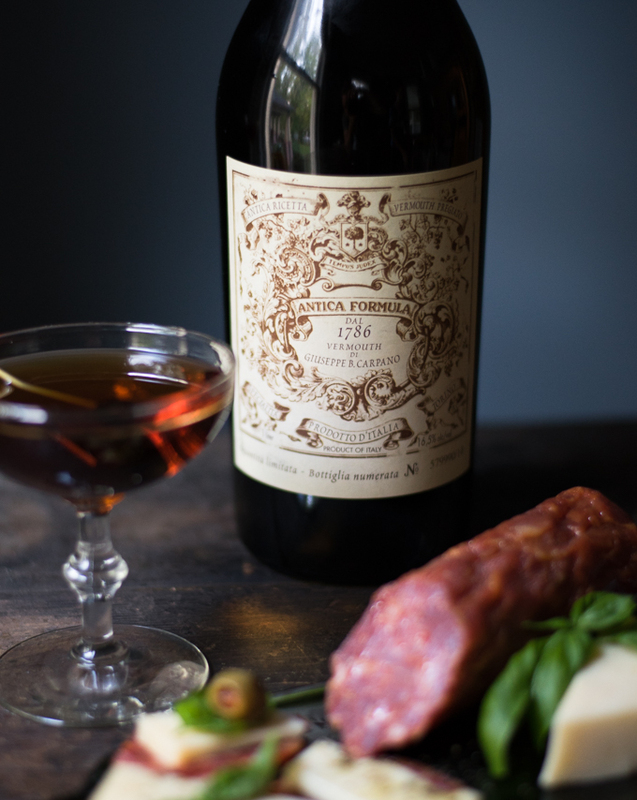 Once we discovered Carpano Antica Formula, we’ve never gone back. Carpano Antica Formula is actually considered the world’s first vermouth and has an amazing reputation with both bartenders and regular people like you and me. 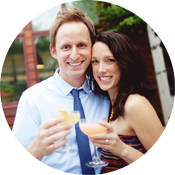 We’ve featured it in this post because we want you know how much it has changed our cocktail making. 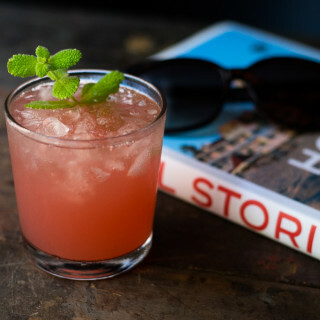 In fact, we got so excited when we started talking about our love for Carpano that we decided to make this post into 2 parts so we could share multiple vermouth cocktails and the foods we love to serve with them. If you’ve had it before you, you know that the fragrant hint of vanilla makes Carpano delicious on its own as an aperitif or to enhance a classic cocktail like the Manhattan. 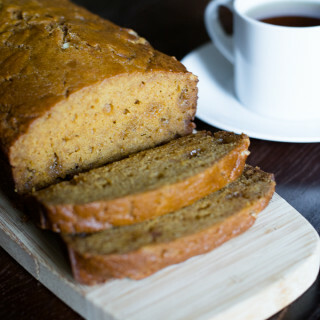 Because this is a food blog, I feel like perhaps you expect a recipe from us. 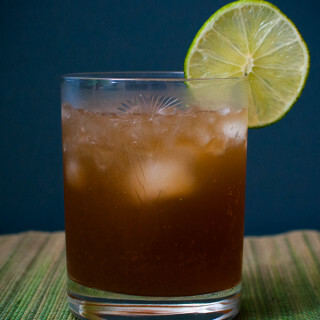 So while we totally recommend sips of Carpano on it it’s own, we will not leave you without a cocktail recipe. I think I also mentioned that we’ve worked hard to perfect this recipe and now feel very obligated to share it with the world! Here’s what we learned. Turns out that as long as you stick to using a quality vermouth like Carpano, you don’t have to spend a fortune on fancy rye whiskey. We also realized that it’s imperative that you do not skip the Maraschino liqueur, which adds just the right sweetness and mysterious spice note to round out a Manhattan. Enjoying that perfectly balanced boozy yet smooth Manhattan is one of my favorite happy hour rituals. This moment can only be improved if I have my best boy and a tasty appetizers that doesn’t require cooking. While I’ve always enjoyed calling this our happy hour, in some parts of the world they have much fancier title for this pre-dinner ritual called Aperitivo Hour. I can also appreciate the sound of that. While we were in Italy last year, we were able to observe how the locals enjoyed Aperitivos, which were the rituals they use to prepare their appetite so they can enjoy their upcoming meals. We quickly got on board with this. Not a problem at all since Aperitivos are more than the refreshing beverage you get to enjoy as you begin your evening but also typically include small bites such as cheeses, meats, toasts and olives. What’s not to love? And since we’ve been home from Italy, we of course try to create our own version of Aperitivo Hour. It’s usually nothing compared to what we experienced in Italy, especially Venice. But then we were recently introduced to San Giuseppe Salami. We had a salami and cheese box delivered to our house and found the these Italian deli selections were taking our Aperitivo hour to the next level. Our package included one Hot Soppressata and one Sweet Soppressata along with fresh parmigiano cheese. We’re huge fans of all things spicy and quickly devoured the Hot Soppressata. It’s not too spicy though, don’t be scared. Just subtle bit of heat with each bite of gorgeous salami. You can see from our pictures that we added a little fresh olive oil, basil and olives to the already amazing salami and cheese to make for a pretty impressive spread, for Americans anyways. 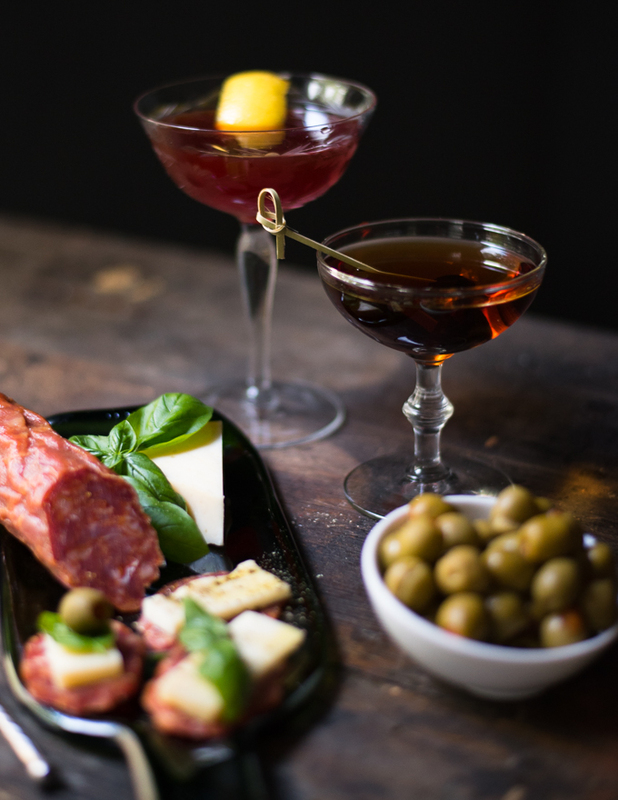 So maybe consider ordering yourself a salami and cheese box and mixing up this perfected Manhattan Cocktail recipe. I think you’ll see how all those things together prepare you not only for dinner, but for just about anything. No cares left in the world after that magical hour. And stayed tuned until next week when we share another fantastic cocktail featuring Carpano Antica Formula–a sneak peek in the picture below! Combine all the ingredients in a mixing glass. Add a lot of ice and stir for about a minute or until the cocktail is very cold. Strain into a chilled coupe and garnish with a cherry. I am a current Marketing Intern at San Giuseppe Salami Co. and I would LOVE to feature this article on our website under our reviews section. Would you be ok with this?